In a global economy that is largely driven by forging successful cross-cultural partnerships, working toward mutual understanding and friendship among nations is critical. New support from the Ford Foundation will help ASU’s Center for American Culture promote such understanding and increase collaboration between universities in the United States and China. The $385,161 grant from the Ford Foundation will allow ASU to support three annual conferences of the American Centers for Cultural Exchange (ACCEX China) network, which consists of Chinese and American directors of American Culture Centers. The centers and the corresponding ACCEX China network are the result of efforts led by ASU to establish a new model for American outreach in China. The first center was formed in 2010 when ASU partnered with Sichuan University in Chengdu, China. 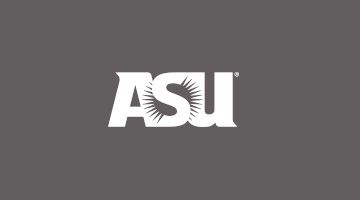 ASU President Michael M. Crow has supported the work of the centers since they were established, and even took part in the initial conversation with former U.S. Ambassador to China Jon Huntsman Jr. that sparked the idea for the concept. Today, 19 centers partnering with Chinese and American universities are a part of the American Culture Centers network – and each one is tasked with sharing America’s story through the use of literature, the arts, history, philosophy, religion and other academic disciplines. Through the grant-funded meetings, directors will exchange best practices in the development of American culture centers, build an ongoing network to connect and support the centers, share resources and practical experiences, conduct joint projects and activities, and obtain external funding for network activities.